Located in El Paso, Texas, the Aranda Law Firm is here to help you with all the serious, complex and emotional legal issues affecting your life, your family, your freedom and your future. To that end, the law firm offers exceptional representation and support to clients throughout Texas, Arizona and New Mexico who are dealing with legal challenges involving personal injury, family law and divorce, and criminal defense. A native of El Paso, the law firm's founder, attorney Marco Aranda, has extensive trial experience in both state and federal courts across the Southwest region, and he also holds an MBA from Texas Tech University. This varied background enables him to better connect with his clients and to provide the invaluable counsel they need to help increase their chances of obtaining the positive results they seek. Mr. Aranda's mission when establishing his law firm was to provide the personalized advocacy his clients deserve while dedicating his efforts to helping them protect their rights and interests and securing a brighter future for themselves and their loved ones. Over the firm's history, Mr. Aranda has earned numerous five-star reviews from his satisfied clients as well as recognition from his peers for his impeccable professionalism and service. 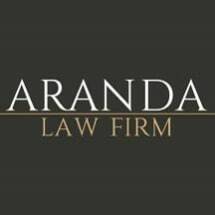 For information on how the Aranda Law Firm can best serve your needs and help you through this difficult and uncertain time in your life, you can contact their office or visit the firm's website to schedule a free initial consultation.